A shoe display for some of the items on sale at Dress for Success. 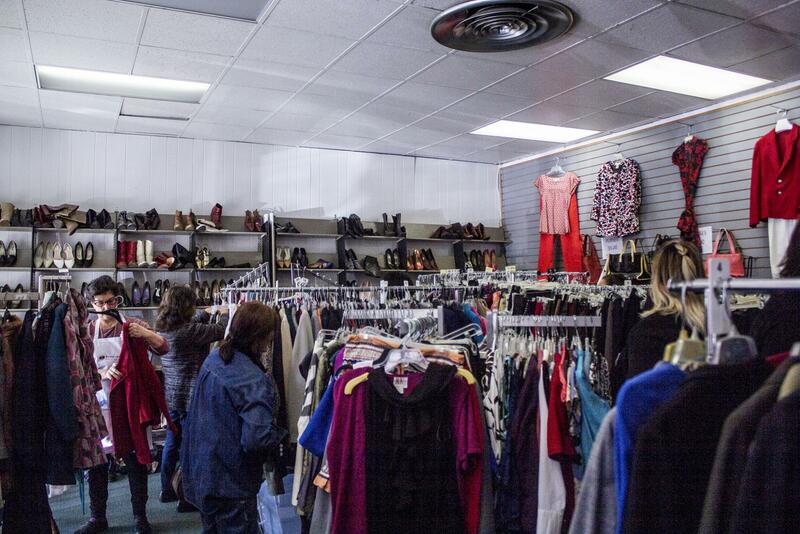 Women browse the shop for sales and bargains during Dress for Success’s clearance sale on Feb. 6. Since 2012, Elaine McNearney has been providing the women of Bakersfield with the resources and tools necessary to feel empowered and confident in themselves and their abilities as potential employees. 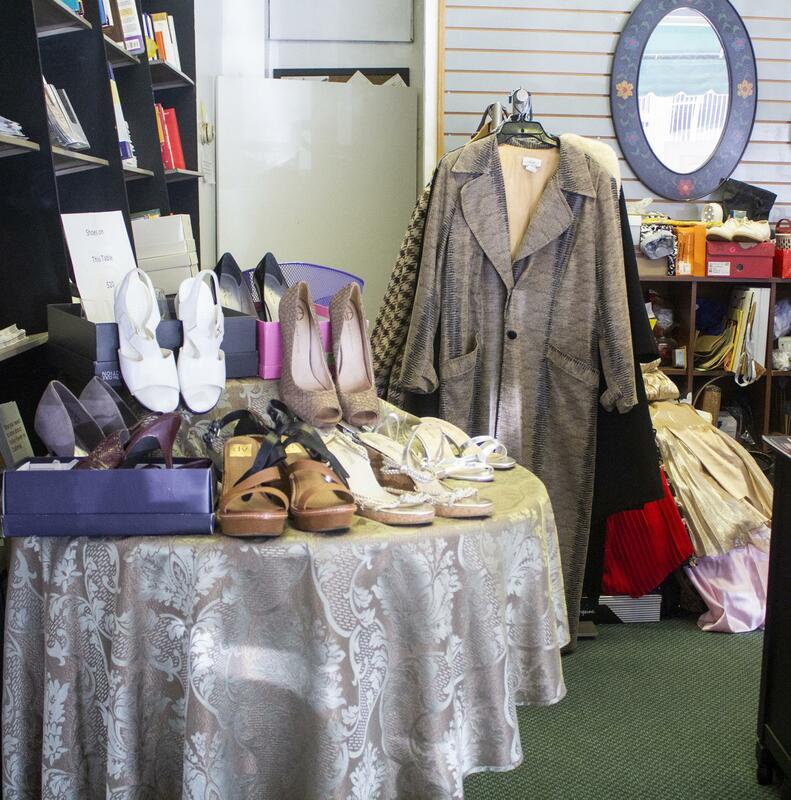 On Feb. 5, Dress for Success opened their doors for a week of clearance sales and bargain prices. 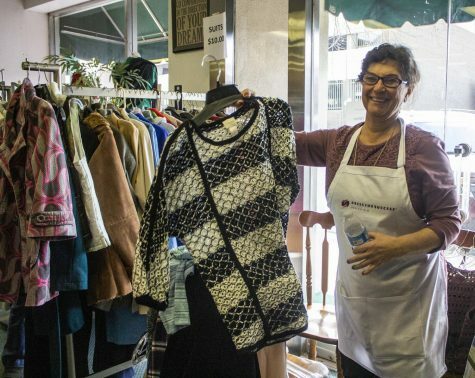 Dress for success is a non-profit organization that started over 20 years ago and now provides clothes and resources for women in over 100 cities all around the world. McNearney founded the Bakersfield boutique in 2012 and has continued since. McNearney states that on a yearly basis she will see about 500 women, an impressive number, according to her, given that the boutique is only open at certain times a year for limited hours a week. Susan Searea adjusts the merchandise during the sale event on Feb. 6. She helps women from all around town to prepare for their job interviews. “Women get referred to us from a variety of programs around town, the biggest one being the welfare to work program through the department of human services, colleges, probation, anyone who’s doing workforce training and wants to have their women come to us to get the appropriate work uniform…we help the with their resume, we help them with their interview,” continued McNearney.